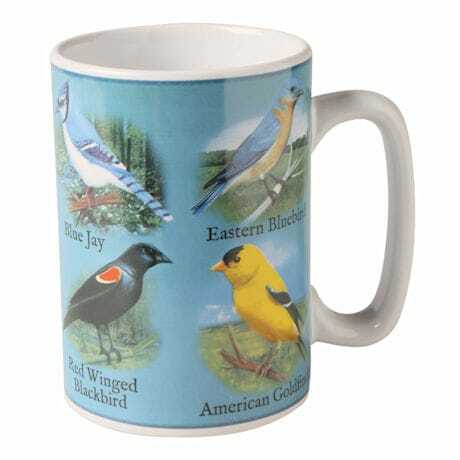 Every time you raise this mug, a bird's song plays. 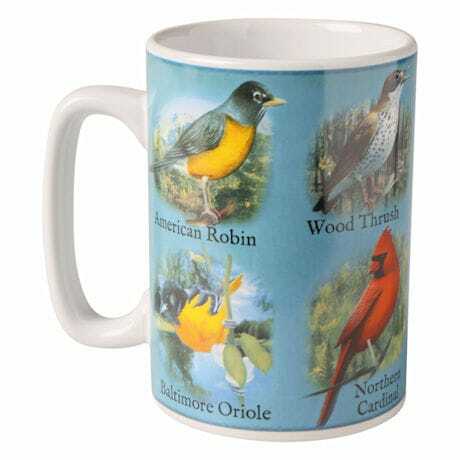 Includes North American songbirds: Robin, Goldfinch, Baltimore Oriole, Blue Jay, Eastern Bluebird, Northern Cardinal, Red-Winged Blackbird and Wood Thrush. On/off switch on base. Hand wash. Ceramic. 14 oz. 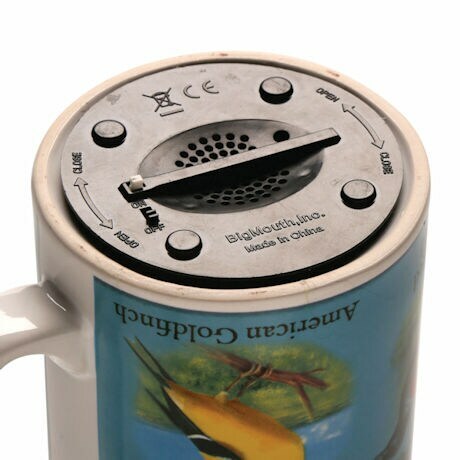 Not microwave safe.